"Held in LLC for minimal closing cost!" "Amazing condo huge patio master up front!" 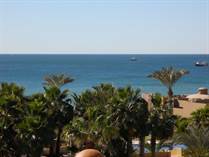 "Absolutely awesome beachfront resort & in LLC"
"Ocean View End Unit 2 bd condo - AZ LLC"
"Great views from every room!" "Amazing ocean front 2 bedroom in LLC"
"Move in and enjoy the beach"
"includes underground parking space "
"7th floor beautiful views of the Sea of Cortez"
"Price Reduction!!!! - Ocean Front!!!" Bella Sirena rises from the golden sands of the north shore of the Sea of Cortez. She is one of the newest and most luxurious full service residential resorts in Puerto Penasco, Mexico. In English Bella Sirena means Beautiful Mermaid. Old world architecture inspired by Mexican and Tuscan VIllas creates a dramatic backdrop for breathtaking views. 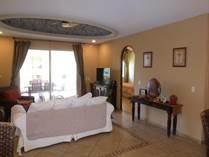 Each condo has its own panoramic view of both the ocean and the trpoical landscape. Unique floor plans, where desert sand meets the crystal blue ocean. With the focus of lifestyle quality, our residences are spread over 14 + acres. There are 220 condos/4 pools/2 jacuzzis. Edge less pools overlooking the ocean. BBQ areas. Exotic, Lush, Mediterranean landscaping. 24 hour securtity/Guard gate. Tennis courts. Fitness Center.